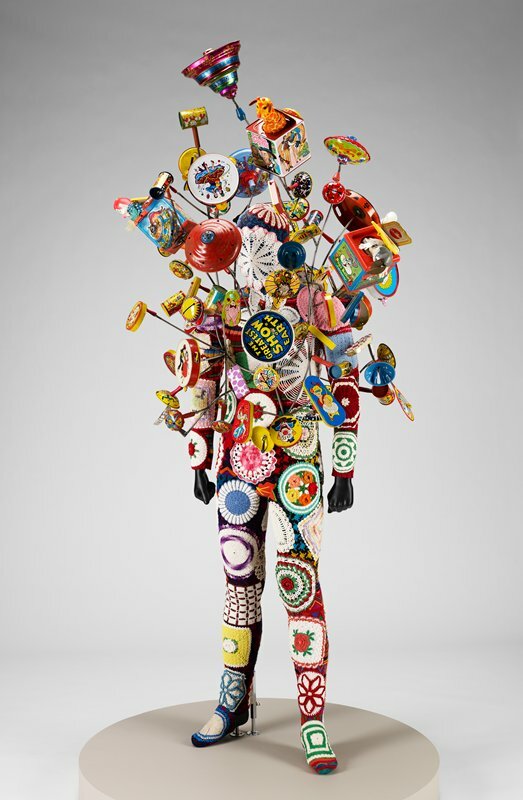 Nick Cave makes his Soundsuits from cast-off goods and clothing scavenged from thrift stores, flea markets, auctions, and art fairs. Drawing on his experience as both fiber artist and dancer, each suit is meticulously handcrafted with attention to both design and function. While the Soundsuits work as freestanding sculptures, Cave originally made them to be worn. He has staged numerous events in which the Soundsuits become moveable collages of material and history, each "enacted" by a performer who takes on its unique character. Cave’s first Soundsuitwas created the early 1990s in response to the racial profiling and beating of Rodney King in Los Angeles by police officers, and the subsequent riots. The Soundsuits have often been described as a protective “second skin.” Cave’s creations allow the wearer to subsume their own identity and to adopt that of the sculpture/garment in a fusion of textile art, sculpture, and performance. When we asked local musicians to muse about masterpieces, they created one themselves. At the June Third Thursday, you can play with the sonic results.